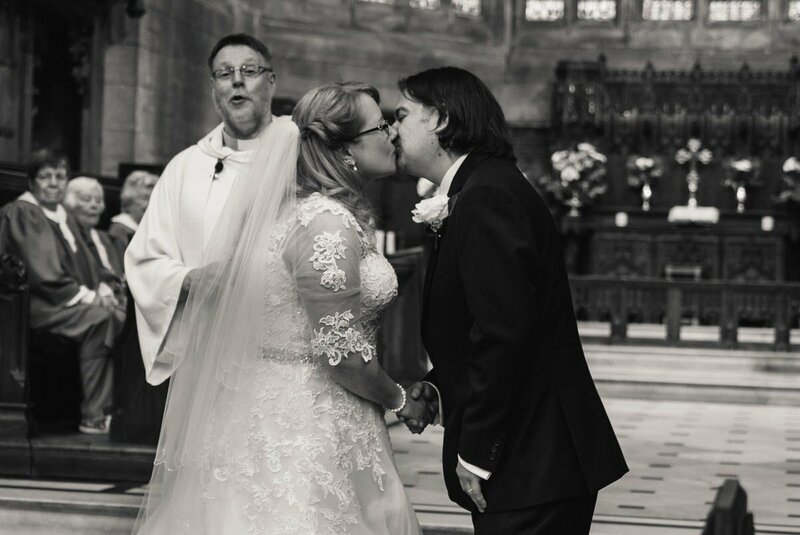 June 24, 2017 / STORIES OF "I DO"
Greg and Claire’s beautiful Port Sunlight, Inglewood Manor Wedding Day Full Gallery. 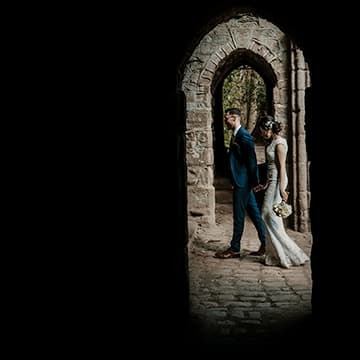 Greg and Claire are such a lovely couple from Wirral! 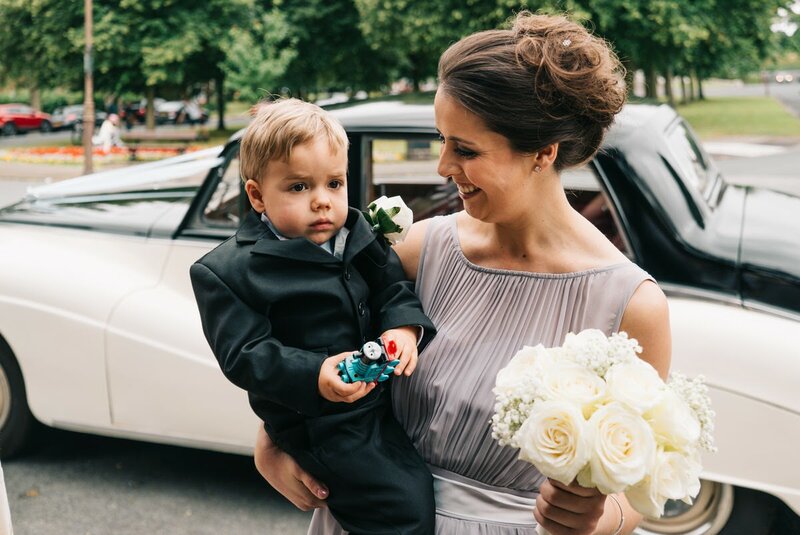 As is their son Conner, who was also the beautiful little page boy on the big day. 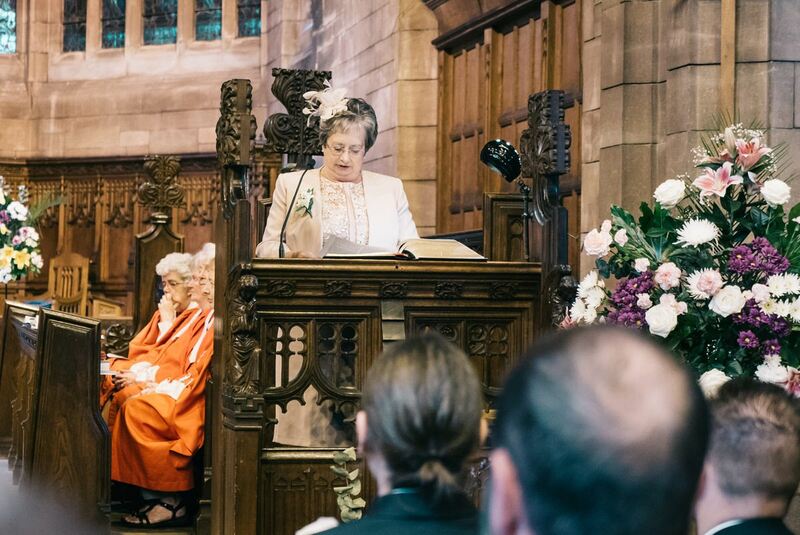 All the guests arrived at Christ Church, located in Port Sunlight, Wirral. The day was all sunny and warm, adding to the beautiful vibes scattered around by the happy faces. The guests moved inside the church between giggles, chatters, and laughter. 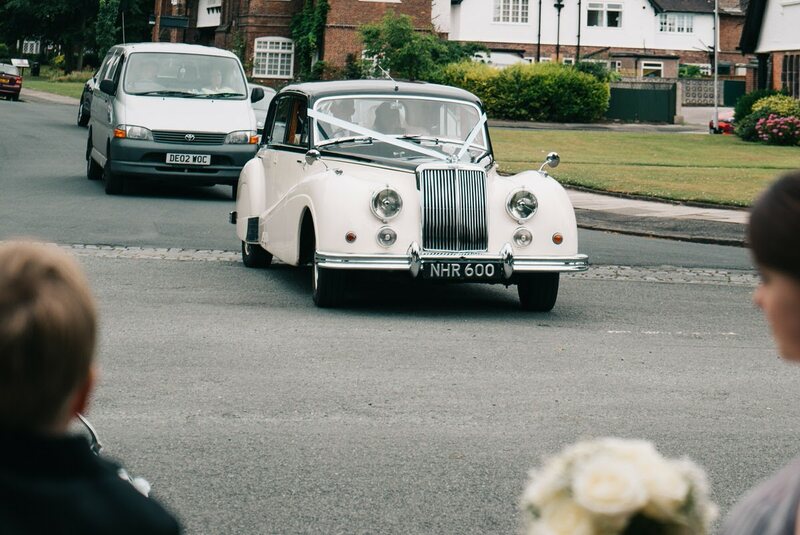 The bride arrived in style in her ride that was the classic cream and black Armstrong Siddeley. 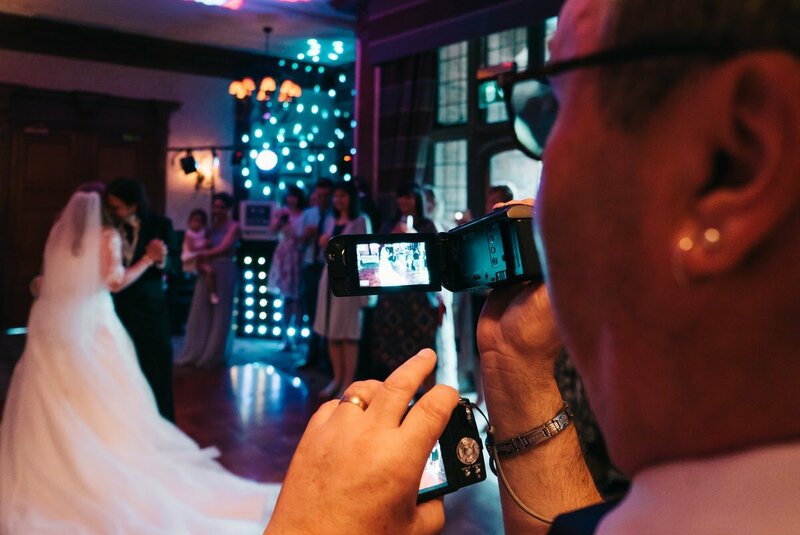 Stories Of I Do are a team of two photographers. 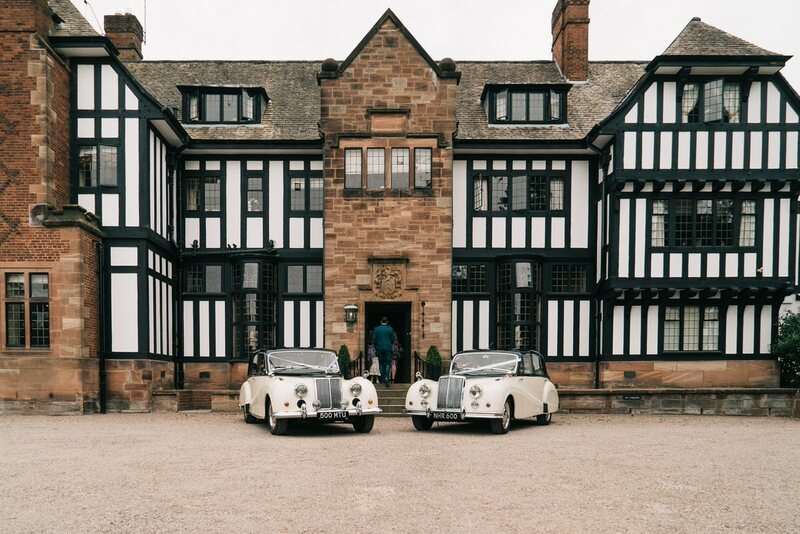 This meant we were able to capture both the grooms nerves and the arrival of the bride and bridesmaids. 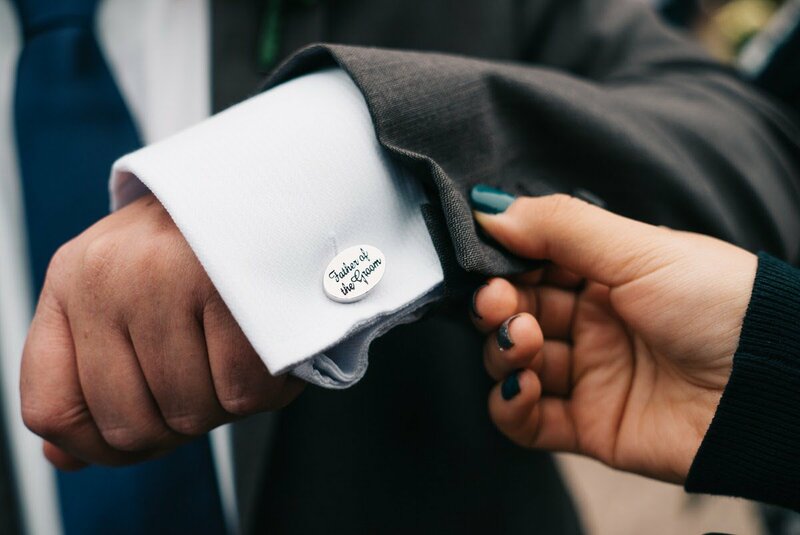 We captured all the fun, emotional moments through our candid wedding photography style. Greg’s mother Mary read the readings during the service. The ceremony was beautiful. Performed with an elegant participation of the bride, the groom and the wedding party. Claire’s three bridesmaids, best man Simon (Greg’s best friend), and their little page boy Conner. It was the perfect event and we managed to get some very natural, romantic, and fun pictures. 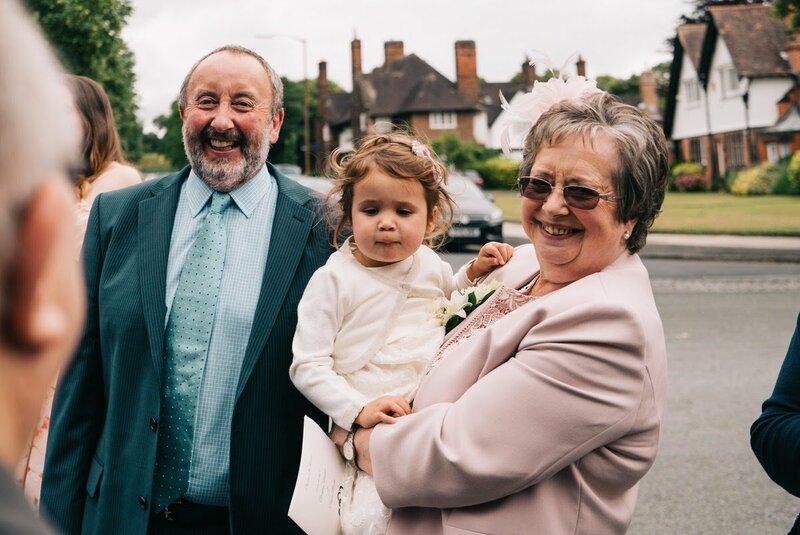 The service was over soon after Greg and Claire said ‘I do’ and the church bells rung. The celebrations continued at their reception venue. 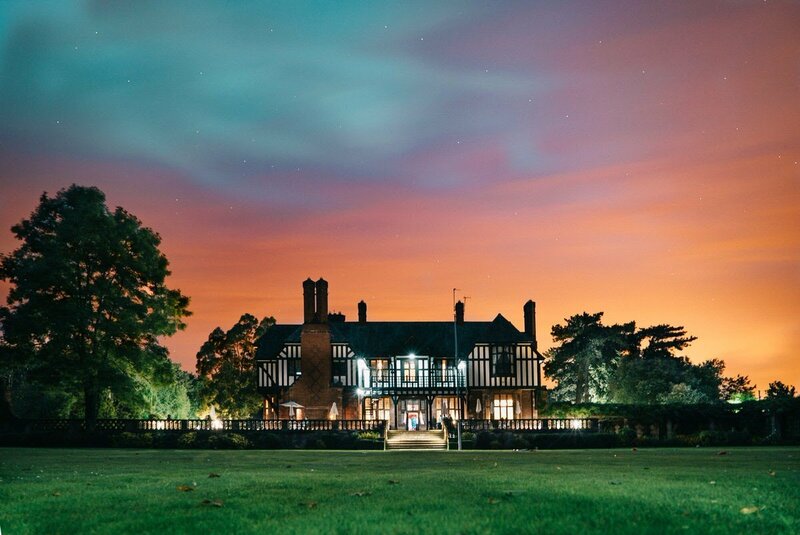 A short drive away was the beautiful Inglewood Manor at Ellesmere Port. 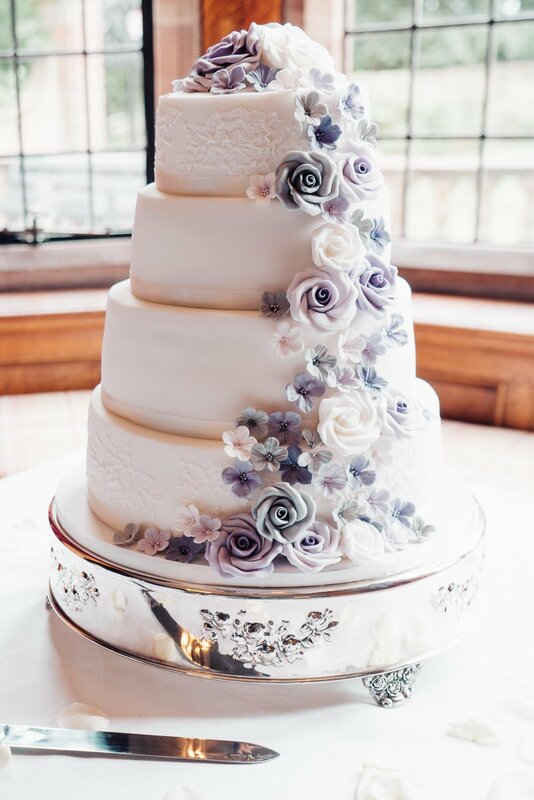 The wedding reception continued their colour theme in the silver and purple hues. 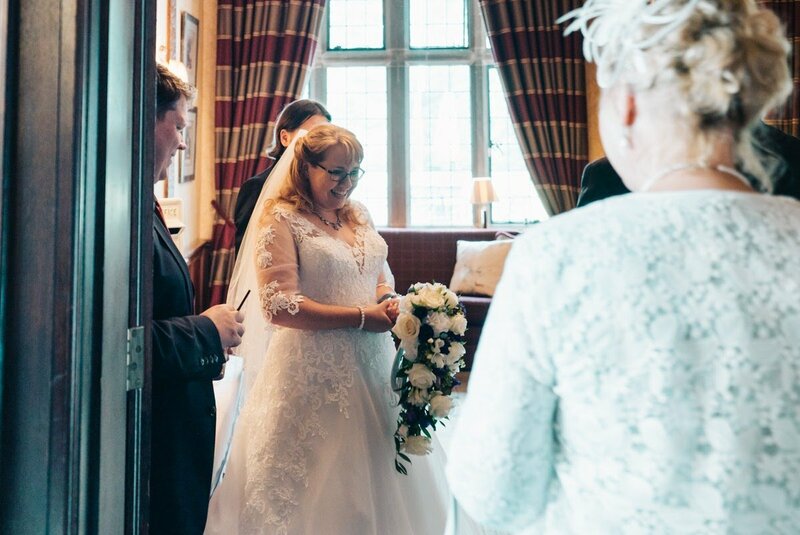 Decorated with perfect wedding flower arrangements and personal touches! 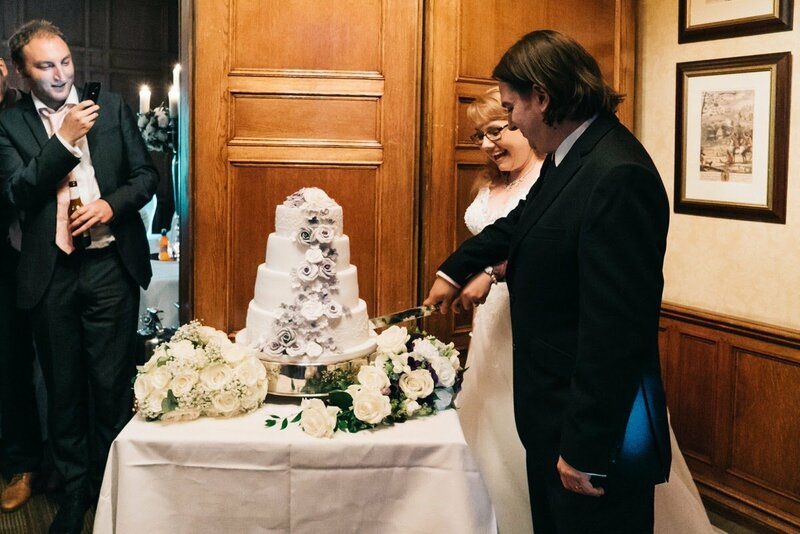 Greg and Claire chose an elegant 4-tiered cake with cascading purple roses. The cake was a reveal cake for guests. 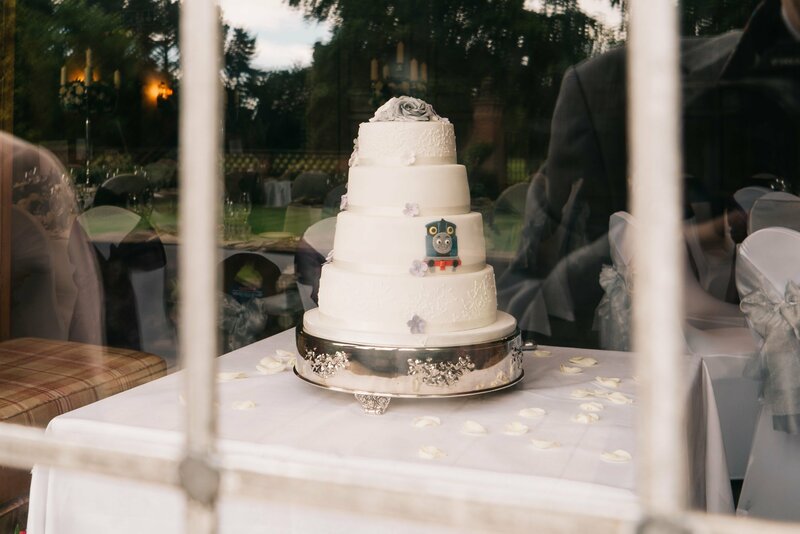 Placed in the window guests soon spotted a hidden Thomas the tank engine at the back of the cake. The Thomas the tank engine was especially for their son, Conner. 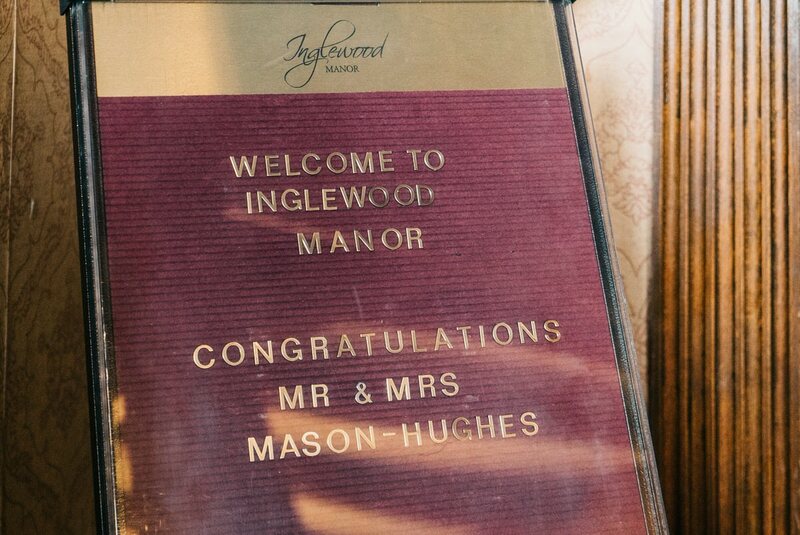 This continues to the seating plan for the meal at Inglewood Manor. The guests delivered their speeches. Talking of emotional moments of love, fun, nostalgia, emotions. There was so much affection for the bride and groom. 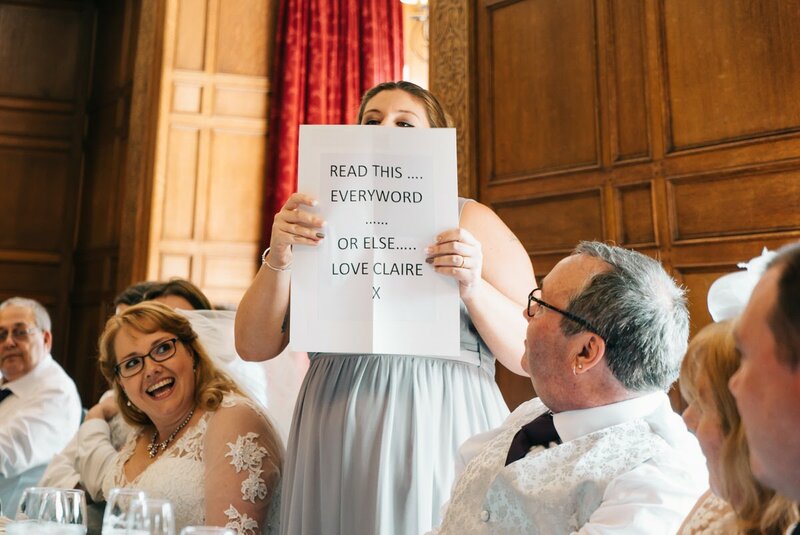 Claire’s dad gave the first speech, making the guests laugh and cry at the same time. 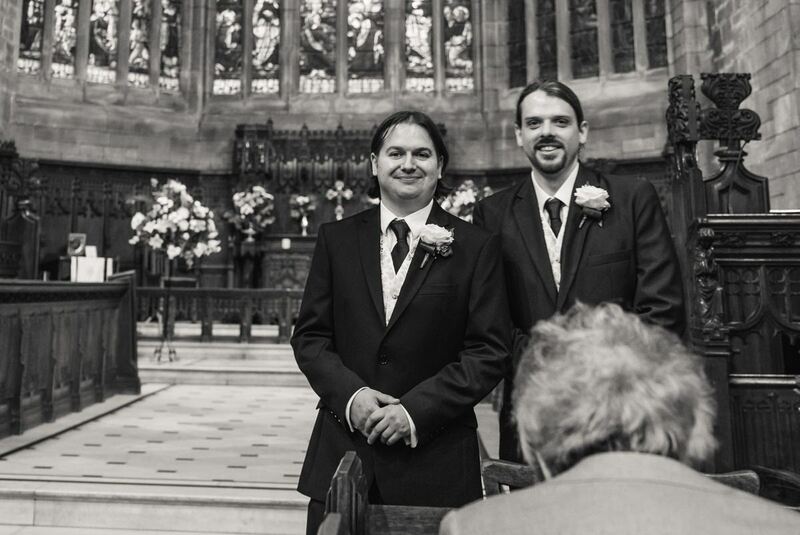 He was then followed by the best man and the maid of honour who delivered their warm speeches, too. In the end, Greg thanked each of the guests for coming and spoke about Claire and their love for each other. 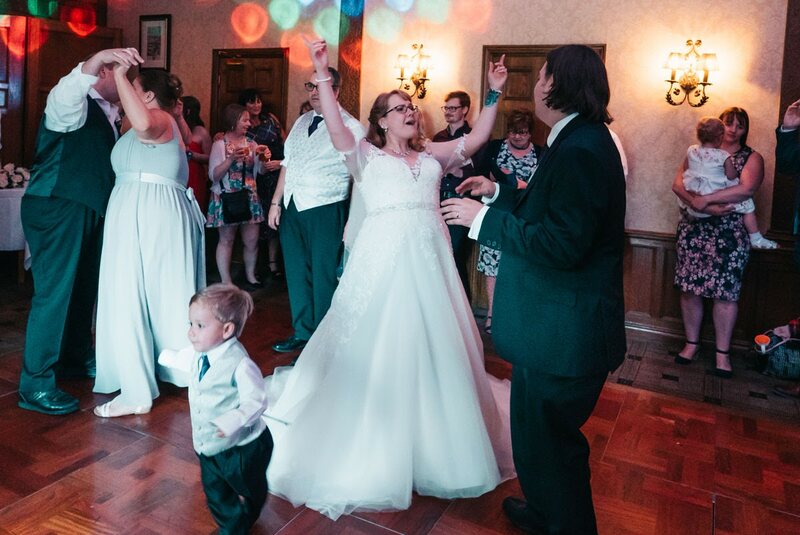 DJ Ian was set up to make the guests groove to the beats at the Inglewood Manor itself! And the first dance was to the track ‘Love Walked In’ by Thunder. Outside the Inglewood Manor, an ice cream bicycle was on hand to serve ice cream to the guests! In all, it was one of the most beautiful days at Port Sunlight, Wirral that one could ever be a part of! With the love, laughter, and smiles scattered everywhere, the day ended well. With lots of fun continuing into the night in the photo booth and on the dance floor. 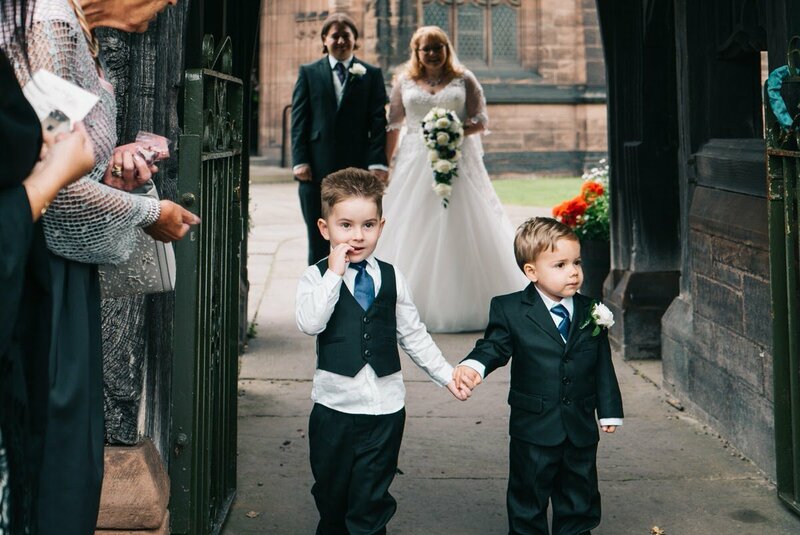 It was hard to choose our favourite photographs from the day. 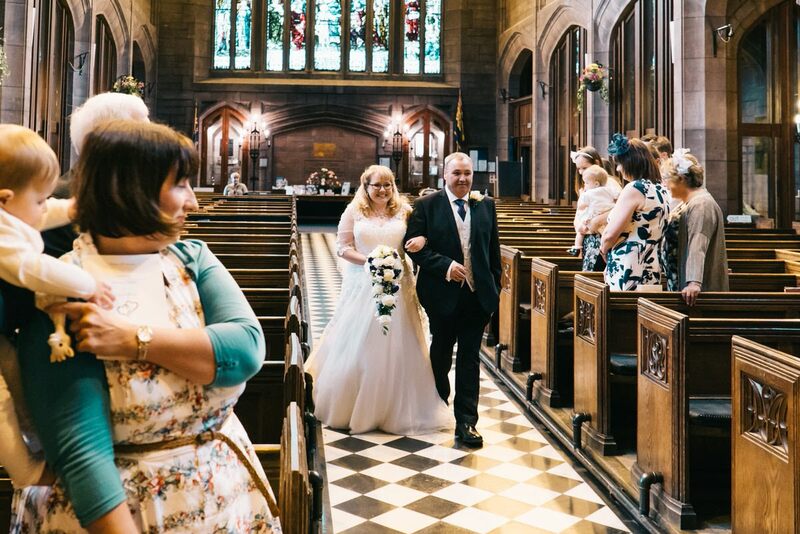 One of our favourite shots is Claire walking down the aisle with her father. Also the confetti shot as Greg and Claire coming out of the church. 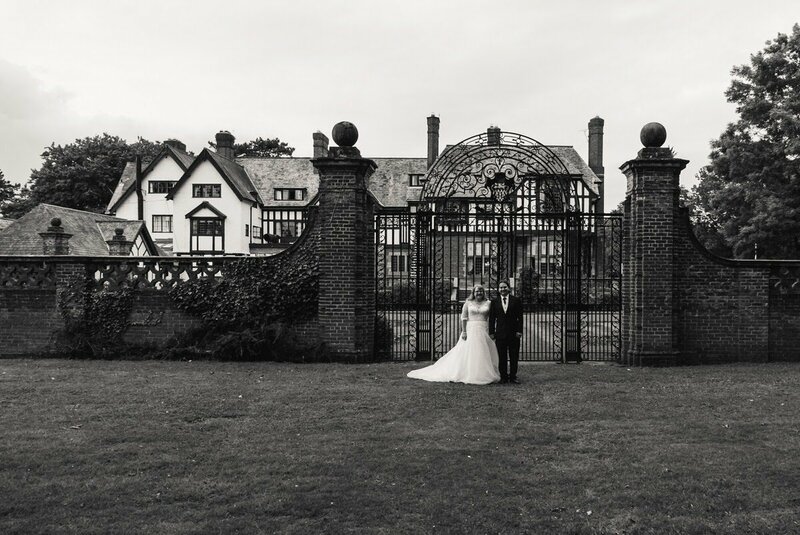 The most special are the portraits of the newlyweds by the water in the grounds of Inglewood Manor. We wish the couple lots of happiness and health. 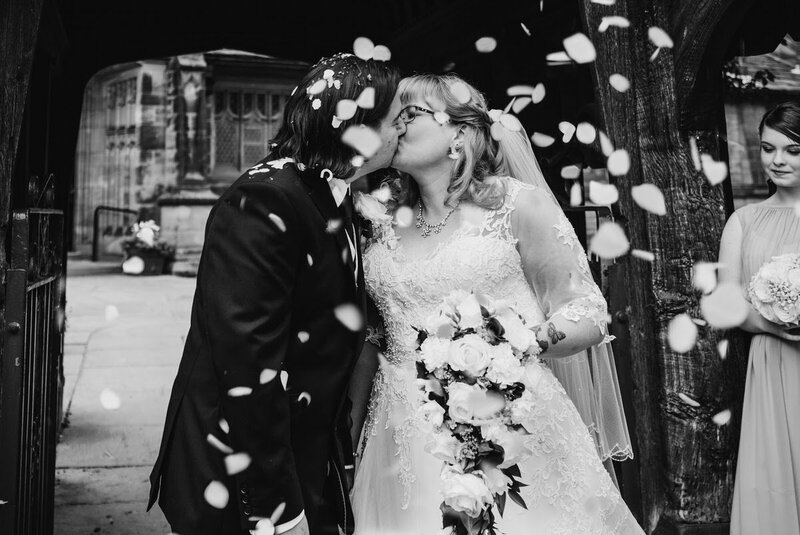 Sneak Peek – Hayley Chris | Manchester Wedding Photography STORIES OF "I DO" Sneak Peek – Andy and Debbie Thorne Methodist Church Wedding, Doncaster STORIES OF "I DO" J + G | Cheadle House Wedding Photography STORIES OF "I DO"